Search Results view appears when you perform a search (when adding an inventory link) Understanding this view and what you do with it is essential for creating high-quality and top-grossing inventory links and, as such – driving your sales. As you can see, the search results view is split to two panes – left holds found eBay items and right holds found Amazon listings. 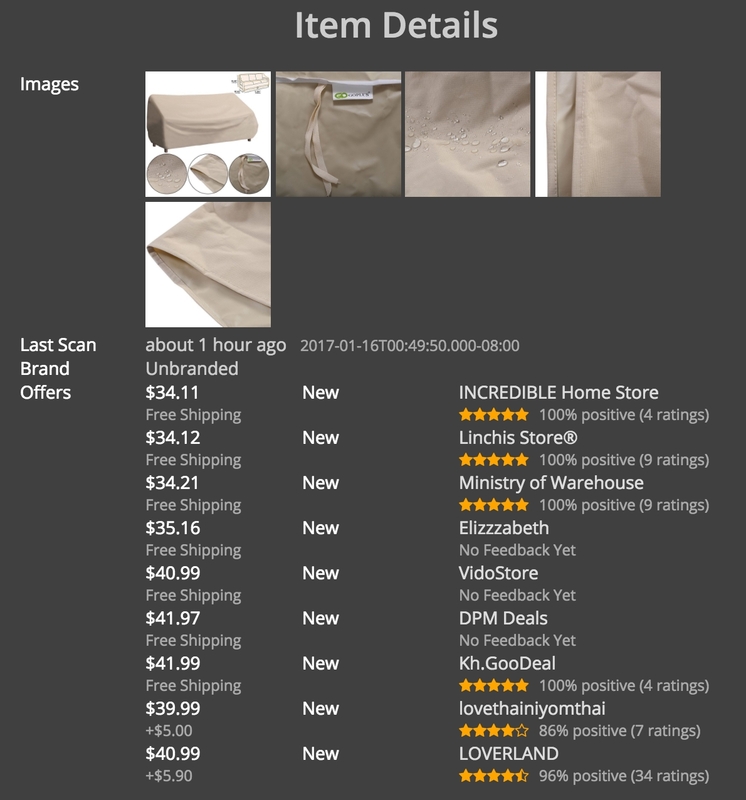 Top of each pane holds the selected items / listings (Selected section). Bottom section of the pane holds all other search results (below the Marketplace Search Results title) Not all search results are meant to be linked – e.g. 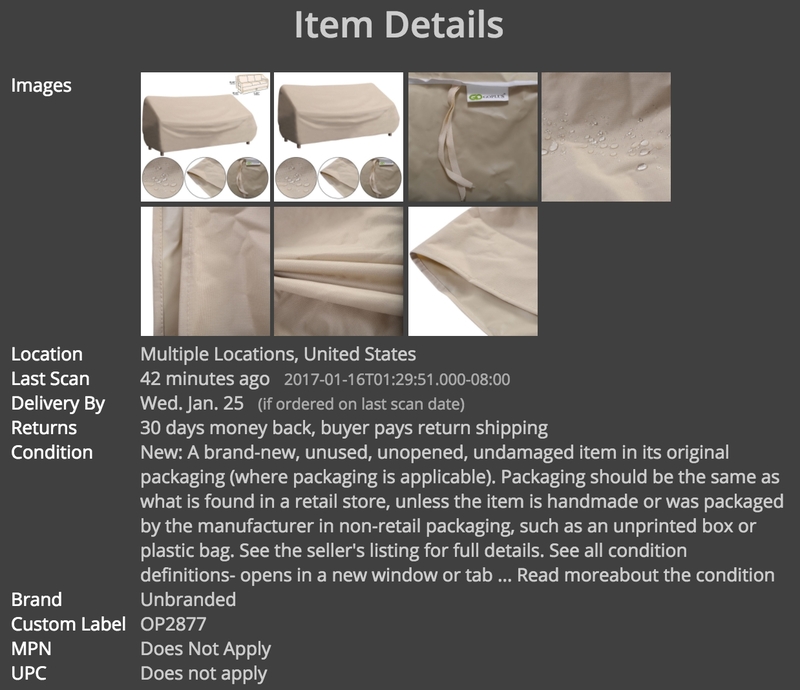 on the image above you can see there are some items and listings that don’t correspond to what we searched. Our advanced search engine also attempts to recognize the similar items / listings automatically and will try to populate the Selected sections for you. Besides, it will also sort all other items by their similarity so that more similar items will be on top. Of course you can rearrange them (remove ones, add others), however based on our experience this already saves a lot of time! If the search results aren’t exactly what you expected them to be, or when nothing found – you can refine the search term. 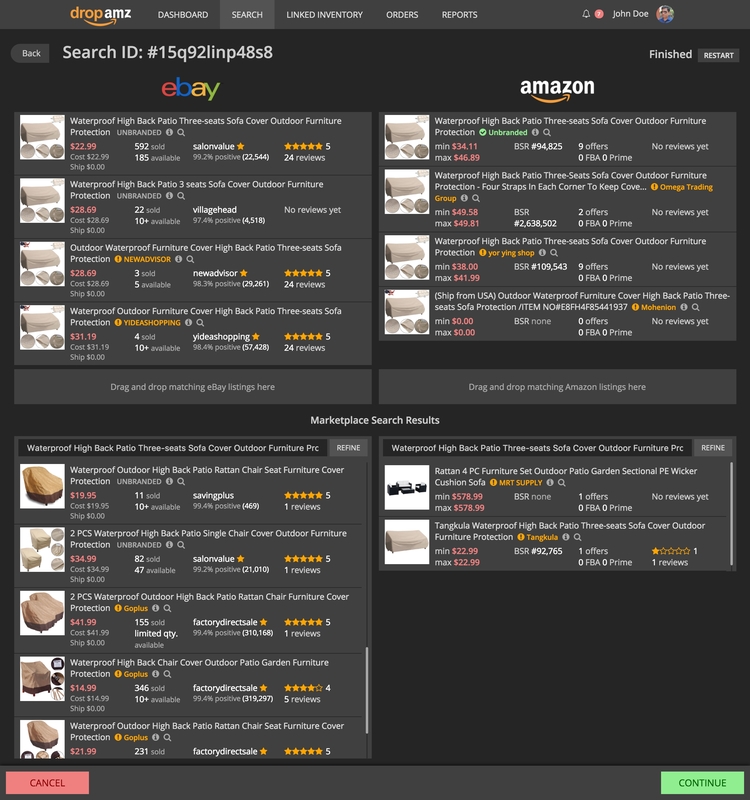 You can refine both eBay and Amazon searches independently. Simply edit the search term for either eBay or Amazon pane under the Marketplace Search Results title and click Refine. When searching, the refine area is disabled.